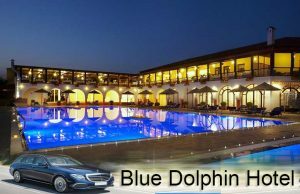 Blue Dolphin Hotel is a rather luxury 4-star hotel located in Metamoprfosi at the beginning of the Sithonia peninsula . It is an attractive destination for thousands of visitors, both Greek and abroad. It is located 82 km away from Thessaloniki airport and It is a rather popular tourist destinations. Metamorfosi in Halkidiki is a rather small village on the peninsula of Sithonia 82 km away from Thessaloniki airport.. It is a pole of attraction for many tourists both Greek and abroad. Due to sandy beaches and the aquamarine crystal sea.Rather popular beach is called Makrya Lagada. So It is a place for beach vacations. While spending your vacations in the town the visitors have also the opportunity to visit Olynthos, a rather important ancient Greek city. Also, the tourists have the opportunity to visit Petralona cave and the museum next to the entrance. Consequently, Metamorfosi is a perfect solution for your holidays.It is only 60 min from Thessaloniki Airport . 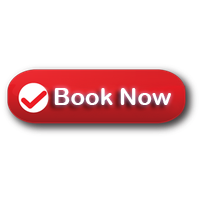 Thessaloniki taxi transfers undertakes your transfer from Thessaloniki airport to Blue Dolphin Hotel in Halkidiki, with comfort safety and reliability. First of all our luxury Mercedes E class cars are clean and in an excellent condition. In addition, our polite and helpful drivers are willing to undercover what a passenger needs . In conclusion, our experience, the high quality of our services and the low cost charge, offer a rather comfortable and safe journey.